One might imagine that only a herculean-like creature could demolish a home, but sometimes a little insect can do big damage. Authorities believe that termite damage might have played a part in a house collapsing in Wahiawa, Hawaii. A man was trapped and hurt in the accident. Thankfully, he did survive. 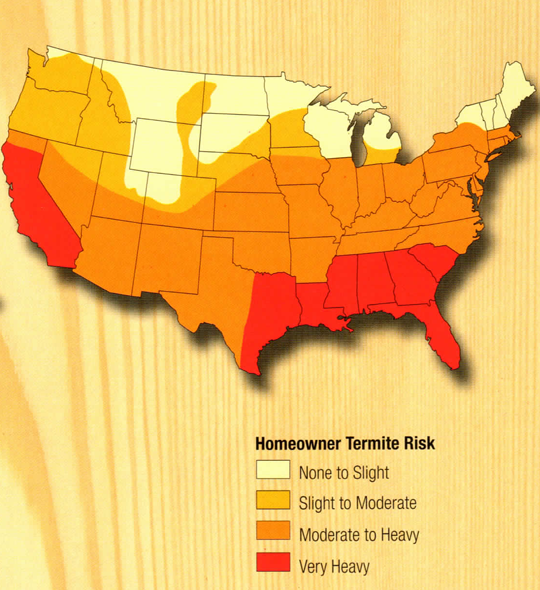 Still, it is clear to see that your property can be a danger should you ignore termite issues. The most important thing to do is to contact experienced professionals who can handle the delicate job of termite treatment application. Termite control requires preparation and expertise. This is something that our organization did not overlook, making sure that all of our technicians are properly registered. We know this is important for several reasons like protecting your property and you. Termite treatment requires the technician to apply termiticide under the foundation of your home or business. This means that the foundation of the property could be in danger should the application be done by someone without experience. It will be clear, from day one, that our team was the right choice for you. All visits start with the inspection, which is conducted by one of our experts who specializes in several aspects of the termite elimination process. One of the key jobs that this inspector will have is to identify the type of termite affecting your property. The inspector is also meant to determine the scope or severity of the infestation. You might also notice the inspector drawing a graph, which is specific to the property. This graph will detail how the termiticide will be applied, and it will detail possible termite points of entry. You can also ask any question you might have about the service. The scope of the issue and the size of your property will help determine the second visit, which consists of a team of technicians. This team could be as small as two techs or as big as four as this varies from client to client. Our team of technicians have been trained to use the machines we use to apply the termiticide like slab drills and foam machines. You can be sure that our trained specialists will apply the Termidor 80wg correctly. This substance is one of the best on the market due to its aggressiveness and effectiveness. We may pump over 100 gallons of the termiticide to ensure that we seal off your property and keep termites away. The last part of our treatment boils down to our guarantees. For one, the termiticide that we use should keep these critters away for 10 years. We care about you and your family too much to forsake inspecting your property from time to time. This will ensure that none of the insects breach the barrier. This is why we suggest taking advantage of our annual renewal inspection that gives us the chance to follow up on the treatment. We do hope you understand the importance of termite control and why it is vital to hire the right team for the job. Your property should be in good hands, especially now when it is vulnerable to these destructive little bugs. You can contact us anytime. We serve Acworth and the surrounding areas. 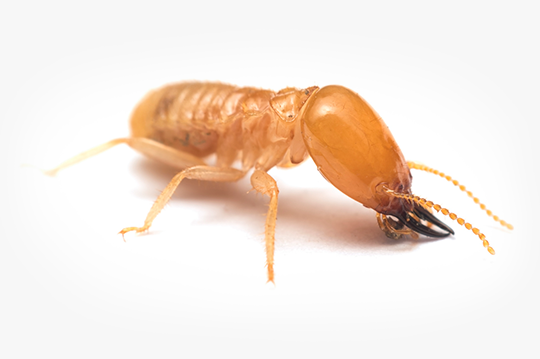 The queen termite, whose sole occupation is to reproduce, has a life span of thirty years. She and her king can be found at the center of the termite colony. In one year's time, the queen can produce thousands of eggs. The eggs soon hatch into termite nymphs. During the nymph life stage, young termites begin to take on different characteristics. These different castes include reproductives, supplementary reproductives, soldiers, and workers. The largest caste is that of the workers. These blind, wingless termites are often found in infested wood, foraging for food. They also build and repair the colony and care for other termites. Soldier termites are wingless, blind, and sterile, as their function is simply to defend the colony. Winged termites known as "swarmers" leave the colony en masse - the swarm. Males and females pair up, shed their wings, and attempt to start new colonies. These termites may replace the king or queen upon their deaths, as well as helping to increase the population of established termite colonies.